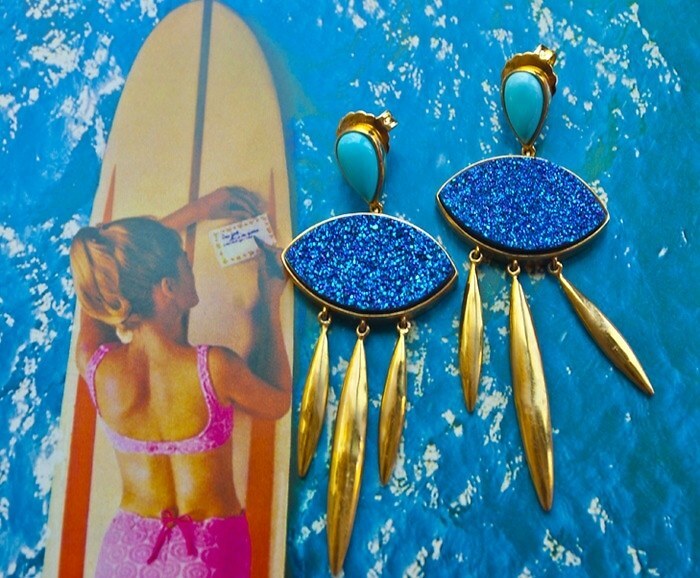 If ever there were earrings made perfectly for summer, than these blue druzy stunners from Melanie Auld would be them. These beauties are the one accessory I’ve relied on all season. From my engagement party to Saturday brunches to sitting on the beach in Montauk, I’ve rocked these bad boys almost every single day. In fact, these earrings are so awesome, that they’ve even proven to bring out sunshine during thunderstorms at the beach. If that isn’t magic, I’m not sure what is.